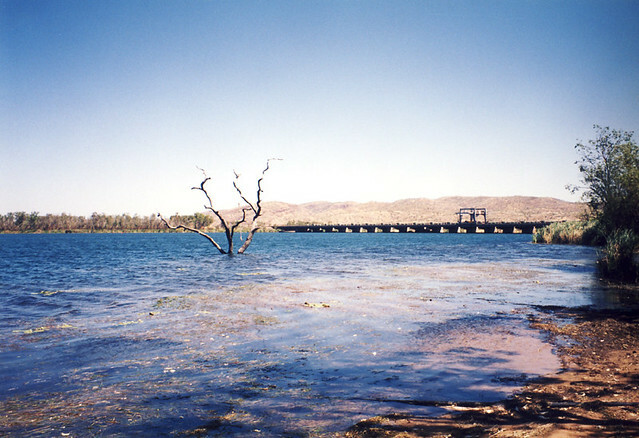 Images of the Swim Beach Tree, with some of the wide views including the Ord River Diversion Dam (constructed 1960-1963), built and anchored to a quartzite rock bar, called Tharram (local Aboriginal name) for the Bandicoot Bar, that was a natural dam holding back the permanent waters of 'Thethebeleng' or the 'Carlton Reach' waterhole (on the Ord River), reputedly the biggest permanent waterhole in the Kimberley-before the Ord River Diversion Dam was constucted, but now called (and under) 'Lake Kununurra. 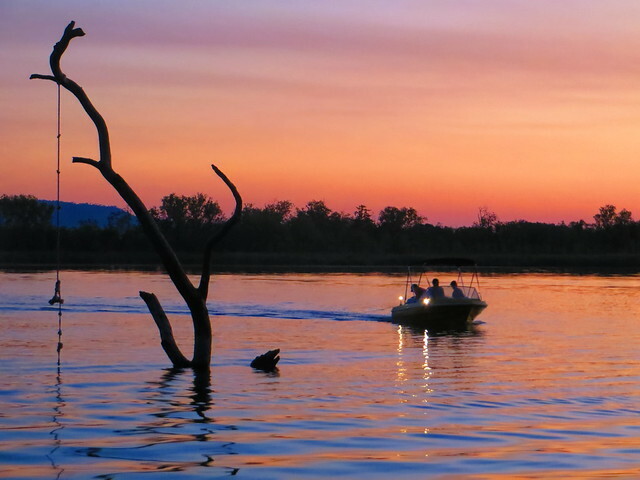 The Carlton Reach waterhole on the Ord River, stretched all the way from Bandicoot Bar to the head of the Sleeping Buddha (or Carlton Ridge), all close to the town of Kununurra and the Ord River Irrigation Area, East Kimberley Region of Western Australia. 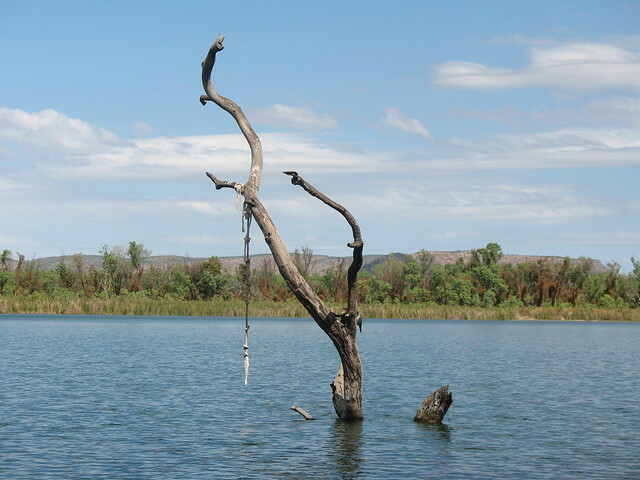 When the dam first filled and the tree was inundated by the new lake level in 1963, locals had bets on how long the 'Swim Beach tree' would last. 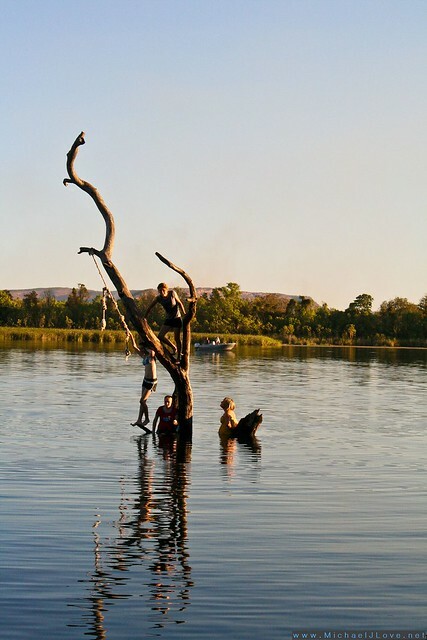 Swim Beach Tree "Now (2010) & Then" (1966) Set of photographs. 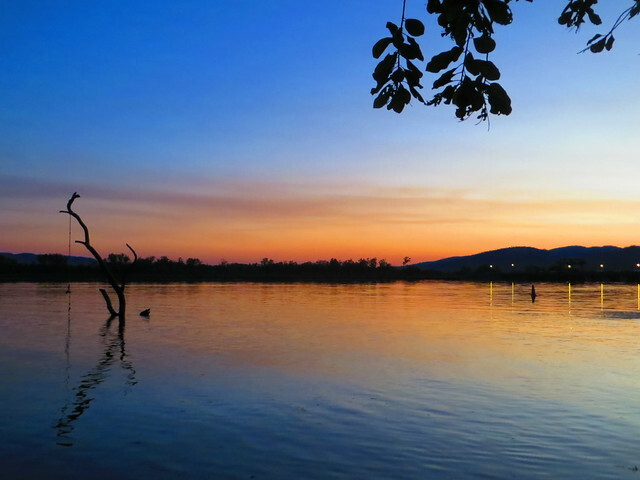 Kununurra… says: Great colours and more action with the Swim Beach Tree silhouetted. 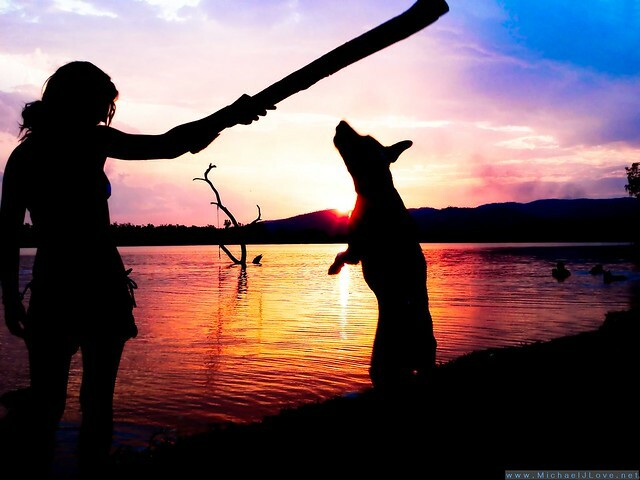 This was taken or uploaded on May 4th 2010. 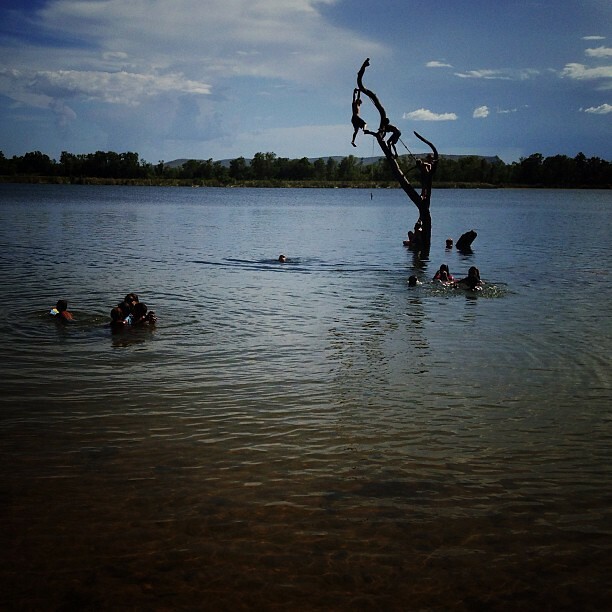 Kununurra… says: A glorious shot - Was hard to find the Swim Beach Tree but there it is! 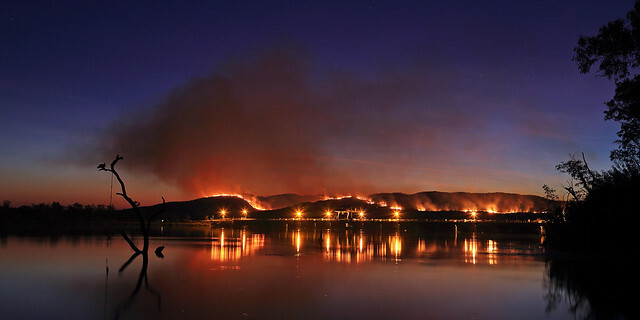 This was taken on May 4th 2010. 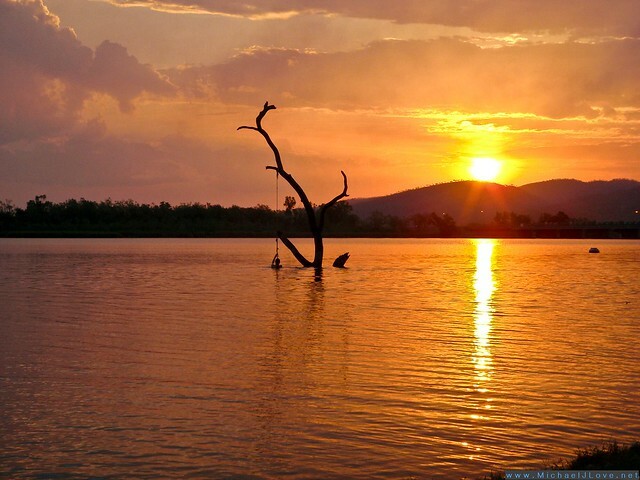 Kununurra… says: Another great sunset at the Swim Beach Tree! 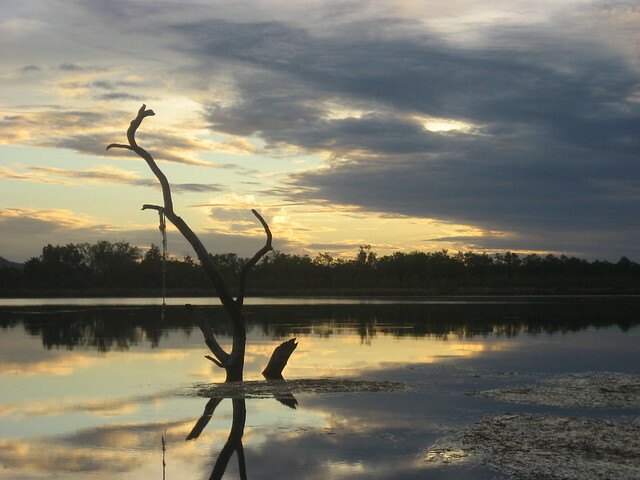 This was taken in 2009. 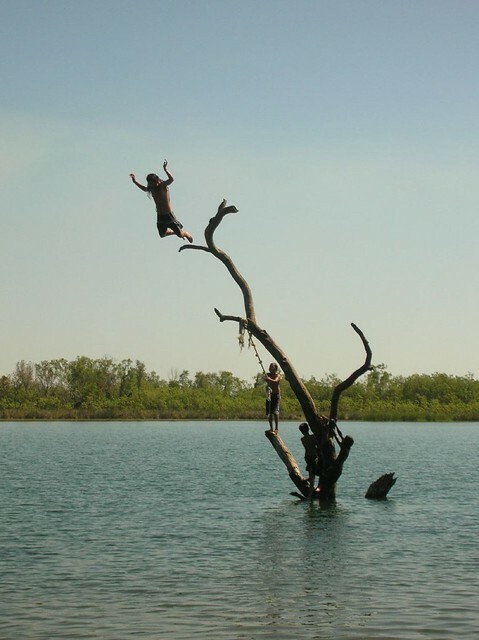 Kununurra… says: Swim Beach Tree this time taken in 2006, thanks to Dawn! 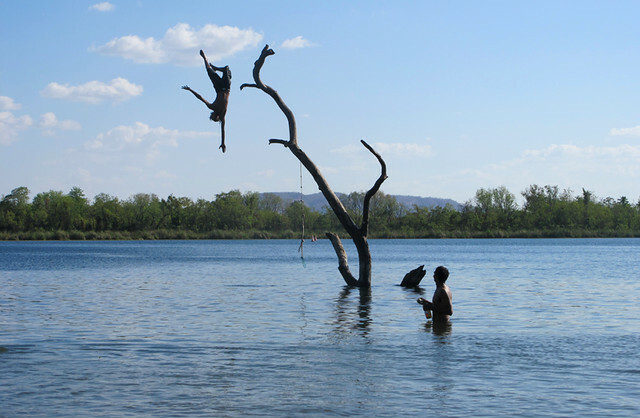 Kununurra… says: Another great action photo found tonight - was taken on September 9, 2007, Nice one of the Swim Beach Tree Zoltan! 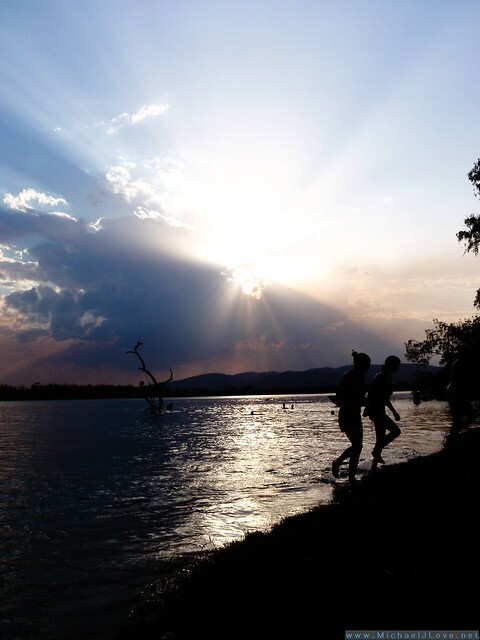 Kununurra… says: Lovely photo of a Swim Beach Tree sunset was taken on March 11, 2008, Nice one candysarea. 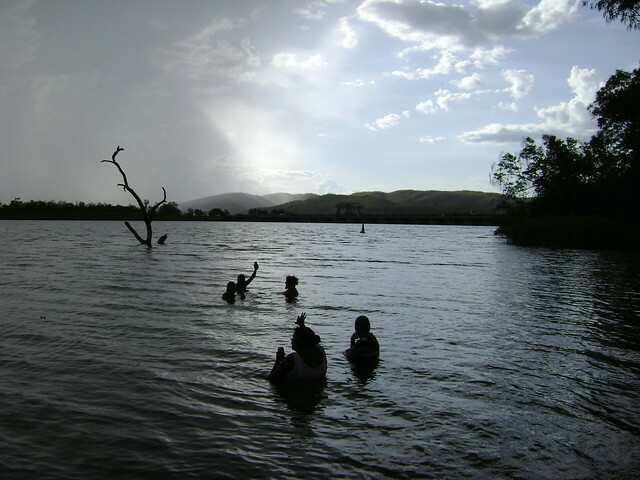 Note the lower level of the lake compared to photo above. 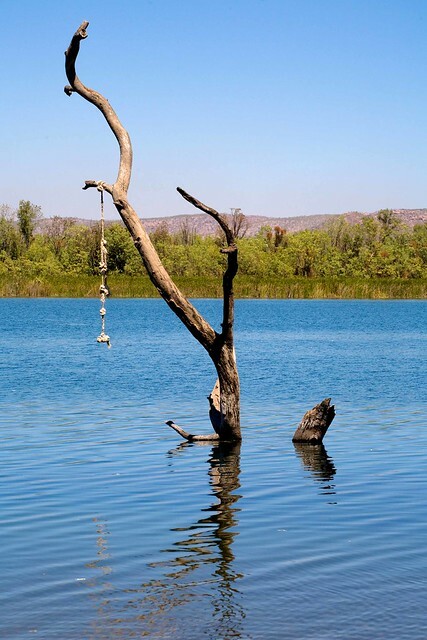 Kununurra… says: Taken on January 29, 2013, yet another interesting view of the Swim Beach Tree for this Kununurra Museum gallery of other people's photographs. 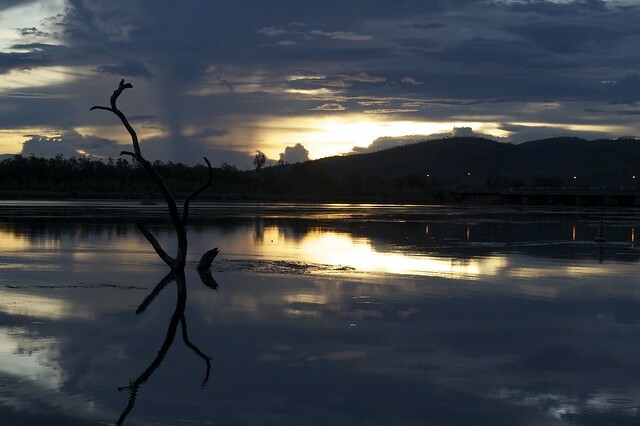 Kununurra… says: Here's a photograph by Bruno of the Swim Beach tree in 2015 with great Kimberley dusk sky colours.